Article by By Kimberly Thompson, LAc for Acupuncture Today. Ask a man what’s on his mind, and he’ll spit it out in a few words. Ask a woman, and she’ll tell you everything she’s thinking, and when she’s done, she’ll share all that she learned from your conversation with her friends. Am I exaggerating? Maybe just a tiny bit. But really, women are much more talkative than men. How can acupuncturists use the power of talkative women to their advantage? One option is Facebook. Before you start saying “Ain’t nobody got time for dat!” – hear me out. Recently, I posted a question on a popular Facebook page entitled “Acupuncturists on Facebook,” which has nearly 4,000 followers: Do you treat more men or women in your clinics? I received a flood of responses. Only one practitioner reported treating more men than women. The majority of practitioners claimed that 80 percent or more of their patients are female. Fact #1: We already know acupuncturists treat more women than men. Women are also lead players in the social networking world—claiming the role of “biggest supporters” of social media. For most women in North America, social media is a major source for daily entertainment and 75 percent of women are using it. Women do the bulk (62 percent) of Facebook sharing. In fact, women spend an average of 12 hours per week using social media, which is nearly two hours per day! Fact #2: Women have a huge influence on family healthcare decisions. Women continually influence entire social networks regarding healthcare opinions within the online community. I’ve seen healthcare questions asked online over and over through the years. You’ve seen how this works. When someone needs an answer or an opinion about almost anything, they ask their friends. Where are most of their friends? Online. With the help of women, a business page for your clinic on Facebook can be a great resource for connecting with and educating your community; and bringing in new patients. If utilized correctly, each Facebook update gives you the potential to influence far-reaching numbers. My guess is most practitioners already have a personal Facebook page. It’s a good idea to keep your personal and professional lives separate. We all have lives beyond the clinic. It’s not a good idea to share personal relationships and weekend adventures with all of your potential patients. How many of you have been tagged in “not so flattering” pictures on Facebook. For me, that in itself is enough to keep my personal page and my clinical page separate! HIPPA requires that a patient’s identity and personal health information be protected. I’ve seen many practitioners post pictures of their patients with success stories on their clinic Facebook page. Remember, if you are going to post pictures or personal success stories about your patients, you must get a written release. Start your page. Facebook has great tutorials to get you started on creating your page. You can add details such as hours of service, a Google map, and a description of the types of treatments you perform. Add photos. Put up a great professional picture of yourself and pictures of your clinic. I like to put pictures of treatments I have done, with permission from patients of course. Interesting pictures might include cupping, auriculotherapy, electroacupuncture, microcurrent, etc. “Like” other businesses in your community. While you are logged into your new business FB page, click on other businesses in your community with whom you do business and to whom you refer. Like them—this is important. The people you rub shoulders with, or “like” in the Facebook world, are a reflection of who you are as a professional. When prospective followers click on your page, whom you like speaks about who you are. 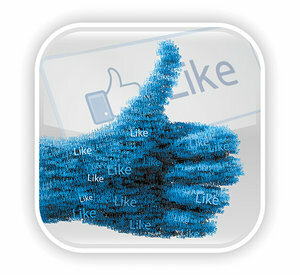 At this stage, most practitioners think they need to get a bunch of friends to “like” their page. Don’t do this quite yet; you’re not done laying the foundation for a great page! Spend a couple of weeks posting to your page. I suggest you post interesting, relevant and helpful information twice a day. One easy way to come up with good information is to search active acupuncture pages and follow their example. While you are getting used to coming up with your own information, you can easily share what other successful acupuncturists are posting. (It’s okay to do this on Facebook. In other venues it’s called plagiarism, but here it’s called “sharing!” The link to the source you are sharing will be happy that you publicized their information.) Of course, if you have a blog for your business, posting your own personal articles is always a great option. If you are really busy, there are professional services that will post to your Facebook page for you. One company that specializes in content specifically for acupuncturists is Social Media Marketing for Acupuncturists. Finally—once you have established an interesting Facebook page with relevant, useful information, it’s time to start getting people to “like” your page. There are multiple ways to do this. You can add a link to your website, send an email to your patients, add Facebook onto your business card and ask friends from your personal Facebook page. You can even pay Facebook to help you out for as little as $5 per day. Facebook does an amazing job of targeting the right audience, and they can easily help you to find just the right followers in your community. As long as you keep adding great information to your page, your list of friends will grow. I suggest twice-daily posts; one focused on practicality and one with personality. If you give practical information, relevant to healthcare, your friends will want to share your information with others. Your second post should include a more personal message, that isn’t sales-like. Remember, women like good information they can share, and also a person they can relate to. While doing research for this article, I spoke with multiple social media marketing specialists who had some really great information to share. Catch their attention: People look at pictures and links more than they do plain text. Try to include a picture with your status update. (*Hint, you can easily go back and change the comments on a picture if you make a typo.) If you are only posting text, try to keep it under three lines. Ask your readers a question or use an open-ended comment. This will get your readers to interact. Interactions are what drive the viral nature of Facebook. Anyone who is following any of the people interacting on your site, are also following the conversation. If 10 people comment on your post, and those 10 people each on average have 300 Facebook friends, you have a potential of 3,000 people who may see your post, your comment and your page. On average, 60 percent of a person’s Facebook friends are locally based. The odds that something will catch their eye are pretty likely. Hashtags: Hashtags (the traditional # symbol) used to be exclusive to categorizing posts for Twitter users. Recently, hashtags have become searchable through Facebook. What does this mean for you? Hashtags are searchable in nearly all of the social media sites, which helps you when advertising your business page. Anyone who is looking for information on a topic now has a very simple way of finding it across all media platforms by using the hashtag along with their search criteria. Think of hashtags as the land rush of the 1800s. They literally lined up the settlers, gave them all a different flag and then said: “On your mark, get set, go!” They took off, and wherever they planted their flag became their property. With the hashtag, you are planting your flag to claim your territory. Example: I live in Meridian, Idaho. I have begun adding #meridianidahoacupuncture to my posts. Anyone who searches #meridianidahoacupuncture can easily find me. The more posts I create, the better I look during the search. You can easily be identified by your specialties such as #acupunctureshoulderpain, #acupunctureIBS, #acupuncturefertility, etc. Timelines should not just go forward. Take your time to go back and fill in the blanks. People want to know your history. Who are you? Where did you come from? How long have you been in practice? You can go back and create the history you want people to see. Consider adding photos from internships, college graduation, and places you have worked along the way. Your timeline can be kind of like a resume. Patients like to see who you are and where you come from. Facebook has come a long way in the last several years. While originally it was simply a fun spot for people to hang out and chat, now it’s an information network extravaganza! If you haven’t yet created a Facebook page for your clinic, it’s probably time to reconsider—especially if you treat a lot of women. Treat a woman right, build a relationship with her, give her plenty of information, and she will share, and share, and share!